TPEP coordinates educational sessions with invited experts to update interested cessation counselors on the latest cessation research and techniques, expanding the availability of cessation trainers in various community agencies. Past sessions featured experts from the Mayo Clinic the University of Massachusetts, recognized as one of the leaders in cessation training, and the University of Arizona. TPEP provides resources and assists members in improving cessation services. TPEP is also offering brief cessation training for the health department’s adult and child mental health units whose clientele often includes smokers. Effective cessation counseling need not be lengthy – less than two minutes of advice increases the probability of a smoker quitting. TPEP coordinates training of health aides and community health workers on how to offer this brief but effective intervention to their clients. TPEP also updates resource listings for the QuitLine phone counselors. Get ReadySet a quit date and change your environment (get rid of all cigarettes and ashtrays in your home, and don’t let people smoke in your home). Think about what has worked for you in the past. Once you’ve quit, don’t smoke, not even a puff! Get Support and EncouragementTell your friends, family, and co-workers that you are going to quit, and ask for their support. Ask them not to smoke around you. Talk to your healthcare provider about quitting. Get counseling. Use freely available resources such as the Hawaii Tobacco Quitline (1-800-QUIT-NOW). The more help you have, the better your chances of quitting. Learn New Skills and BehaviorsDistract yourself from urges to smoke. Talk to someone, go for a walk, or get busy with a task. Change your routines to avoid triggers (e.g. eat breakfast in a different place). Implement other mechanisms to help cope with stress, such as exercise, reading, etc. Plan something enjoyable to do everyday, and drink a lot of water and fluids. Get Medication and Use it CorrectlyMedications (nicotine patches, gum, inhaler, lozenges, etc.) 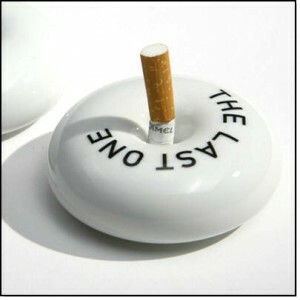 can double your chances of quitting smoking for good. Ask your healthcare provider for advice, and read the package information. If you are pregnant or trying to become pregnant, nursing, younger than 18 years old, smoking fewer than 10 cigarettes per day, or have a medical condition, talk to your doctor before taking any medicines. Your health plan or Medicaid may cover some treatments. Be Prepared for Relapse or Difficult SituationsMost relapses occur within the first 3 months. Avoiding alcohol, other smokers, and eating a healthy diet and stating active are important to increasing your chances of quitting. If you are experiencing mood disturbances or depression, consider other ways to elevate your mood, and talk to your doctor about medications for depression if necessary. 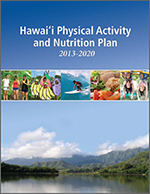 Tobacco Cessation Resources in Hawaii. This brochure lists major resources available to smokers who are trying to quit. Included are references to telephone helplines, group and individual counseling programs, websites, and written self-study materials. Think About It, Think About Quitting. Thinking about quitting smoking? But not quite sure? This brochure increases your awareness about your health and your family, how to go about quitting, and life after cigarettes while exploring the idea of stopping smoking and tobacco use. Hawaii Cessation Handbook, Life After Cigarettes Quitting tobacco use and smoking is a tough job. This 24-page booklet is a comprehensive collection of information to help and support you through the process of quitting.